Redheads across Wellington are gathering at Irish bar JJ Murphy's to celebrate the rare colour of their hair at New Zealand's first Ginger Gathering. While it's a couple of weeks too late for Prince Harry to attend, dozens people with red hair are expected to be there. Mandy Lahatte, the owner of Indeja on Cuba Street, was planning to go along. She and her three children, now in their 20s, all had red hair - and all of them were teased as children. "You know, ranga, ranga, ranga, that sort of stuff, so that's what my kids got growing up, and I got it as well. "We now find it quite offensive... I just don't like it at all." Ms Lahatte said now gingers were becoming more fashionable, and more acceptable - with people saying that her and her children's hair was beautiful. Another redhead, Jadwiga Green, was proud of her hair now, but used to hate it because she was bullied. "I've had everything from just name calling to being spat on, having bottles thrown at me, growing up in Dunedin that's just what it's like." It was a becoming a hairdresser and performer that helped Ms Green realise her strawberry locks are something to be proud of. "I went to try get my hair dyed once in my life because of it, and the hairdresser told me 'don't you dare dye your hair, keep it the way it is'." 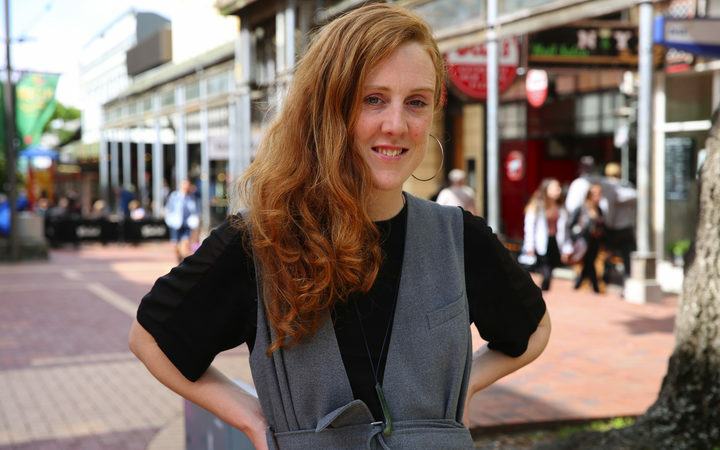 Event organiser Ashley Mackenzie-White had been approaching redheads all over town, giving them a badge that said "Ginger", and telling them to come along. She had been to Ireland to meet other redheads, and said Friday night was about bringing together redheads of all ages. People seemed to be drawn to redheads, she said. "So you have to start to behave in a certain way, people want to talk to you about your red hair or touch your red hair or tell you you have beautiful red hair, or they're really mean. So it forms a character of who you are, I have to be brave, I have to be really confident because of the way I was treated growing up." Bullied at a young age, she had a decision to take it or confront it, and learnt to fight back. Now, she said, events like the Ginger Gathering a way to reclaim the name ginger.